iMessage has received a major upgrade at this year’s WWDC event. While we were hoping Apple would release its messaging app for the Android, it didn’t quite fit according to Apple. People were really looking forward to getting their hands on the messaging service followed by a report that surfaced a week ago. Even before the World Wide Developers Conference keynote, there were speculations that Apple will debut iMessage to Android. As for now,it looks like the service will only be an iOS exclusive messaging platform. Now, days after the event, an unnamed Apple executive in his talks with Walt Mossberg gave the reason why iMessage for Android will not make it to reality any time soon. Mossberg’s editorial for The Verge suggested at least two reasons why the service will not be coming to Android, at least for now. For one, iOS with its 1 billion active devices is a huge number. This suggests that the numbers are enough of a base line for the company’s attempts to play around with artificial intelligence. Secondly, Apple has future plans for the service as it sees the messaging service superior. Hence, keeping it as an iOS exclusive feature simply makes more sense to Apple. “The best example of this was that it again declined to extend its much-loved and much-used iMessage messaging system to Android, even though Google still seems vulnerable in this area. Apple did announce a clutch of new features for iMessage, like giant emojis, and handwritten texts. And it’s turning the service into a true platform that can host third-party apps like cash transfer services, stickers, photo editing, and restaurant reservation apps. But all of this seemed more about keeping people on Apple hardware than about building the biggest possible services. It would not have been a surprised move by Apple to bring its messaging platform to Android. The rumor was aided by the fact that the company did bring its music streaming service to Android as well. 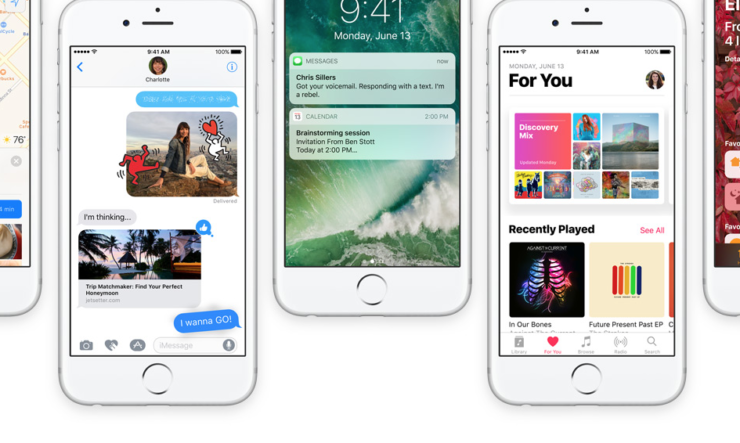 For the time being, Apple has set iMessage to remain exclusive to iOS alone. This is it for now, folks. How did you guys liked the iMessage update in iOS 10? Do you want to see the messaging service on Android? Share your thoughts in the comments.